Relax and rejuvenate next to your loved one at the same time. Our highly skilled therapists will perform a simultaneous couples massage, so you can enjoy the experience together. Enjoy a relaxed setting where you and your partner can relish the luxury of a message, and know that you are in good hands. Therapists will set up two tables next to each other, so you can both feel the energy of your massage experience in the same room at the same time! Enjoy the power of our Kauai Couples Massage in your space or ours! If you have children, or your schedules do not allow for simultaneous massage, we offer consecutive massages as well. This means that one of our therapists can come to you and give you your massage back to the back of one another. You can still enjoy the feeling of receiving a massage on the same day while being able to take care of your children or fulfilling your engagements. If you are celebrating a wedding, anniversary, on your honeymoon, or just simply on vacation, our therapists will celebrate with you as you receive your delightful treatment. We are happy to accommodate your special occasion in any way possible. Your Kauai couples massage is a wonderful way to revel in the joy of your vacation! This spectacular experience feels like a retreat for the both of you, as our skilled therapists will discuss with you exactly what you are looking for in your session. You can receive the same treatment, or chose different treatments as desired. We can accommodate any variety of styles and pressures as each person likes. Please check out our other services, for an idea of the style of massage in which you prefer. Some things are best done together, why not try a Kauai couples massage! 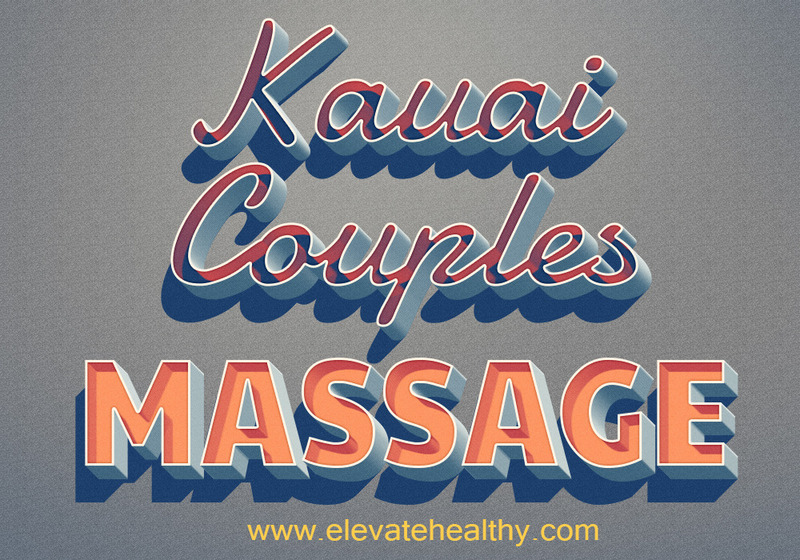 Book your Kauai Couples Massage today!